New beginnings, new possibilities, garden planning, white winter nights, snow covered landscapes, and rides through the country with the love of my life. One of my favorite things to do during these slower paced winter months, is to find new little shops to visit when Dan & I are out on one of our afternoon dates. One of our absolute favorite shops to visit is called “Persnickety”. It’s filled to the brim with wonderful primitive country decorating goodies! Not only do they have great things to shop for, but the owner also allows customers to walk through his private home, so they can glean decorating ideas to use in their own homes. When we went for a visit this week, I decided to take some pictures so I could share them with you. They also have a brand new facebook page on which they will be adding lots of new pictures, coupons, and primitive country decorating ideas. 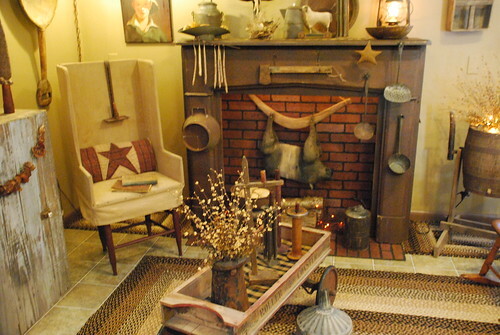 I hope you enjoy this peek into a lovely primitive country home.